When Transport for London (TFL) announced it was opening its bus and Tube data for developers to access back in September 2010, a steady stream of apps began to emerge from the developer underworld. But there wasn’t too much focus placed on bus-specific apps for those who don’t live near an underground station, or those who simply prefer to travel by road. Bus Guru is the latest such app to hit the market, selling itself as “the UK’s first app to give users both the LIVE (real-time) bus times AND the best routes from TFL’s Journey Planner and Countdown System.” So Bus Guru is differentiating itself from existing apps by providing real-time information, rather than scheduled information, as well as letting you plan your journey. 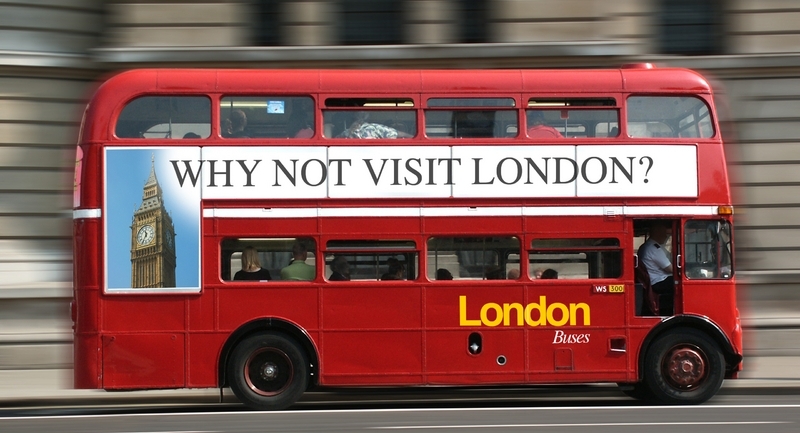 We did report on BusIt London back in June, but there were some notable omissions from this Web app, for example it didn’t supply bus schedules, journey times, live data, and other pertinent travel information. It was more of a route planner, which is handy enough. Then there is busmapper.co.uk, which seemed a similar proposition to BusIt London at the time, but has since added more features and functionality, throwing TFL Countdown Live data into the mix too, though it is still in beta. Oh, and it’s also available on dedicated Android and iOS apps, unlike BusIt London. 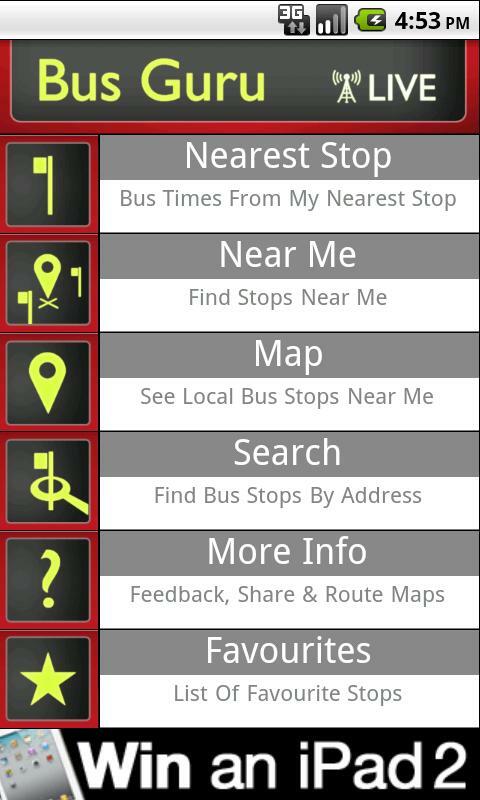 As for Bus Guru, it has native GPS-enabled Android and iOS apps, which are free to install but they are ad-supported, which can be a little distracting if you have a small touchscreen smartphone. 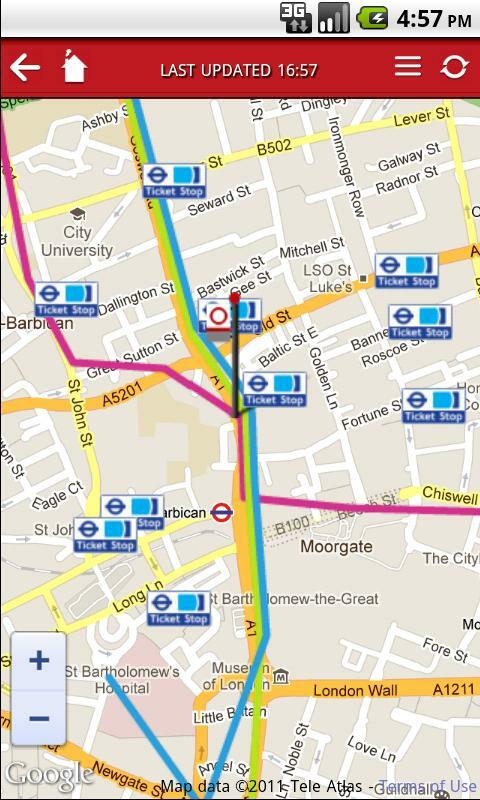 Bus Guru apparently includes all the 18,942 London bus stops, covering 1,340 routes across the city. With TFL’s Countdown Live data feeding into the app, it can give users up-to-the-second information on all TFL buses, and you can click to see where your nearest bus stops are – or you can choose to view all the bus stops around you. You can ‘favourite’ a bus stop by tapping the star next to it, and even see a list of stops you’ve recently viewed. You can choose to view bus stops and full TFL bus routes on a customised map, and you can even see all the locations where you can top-up your Oyster Card around you, which is actually a very handy feature if you’re looking to avoid paying the premium cash-fares on London transport. 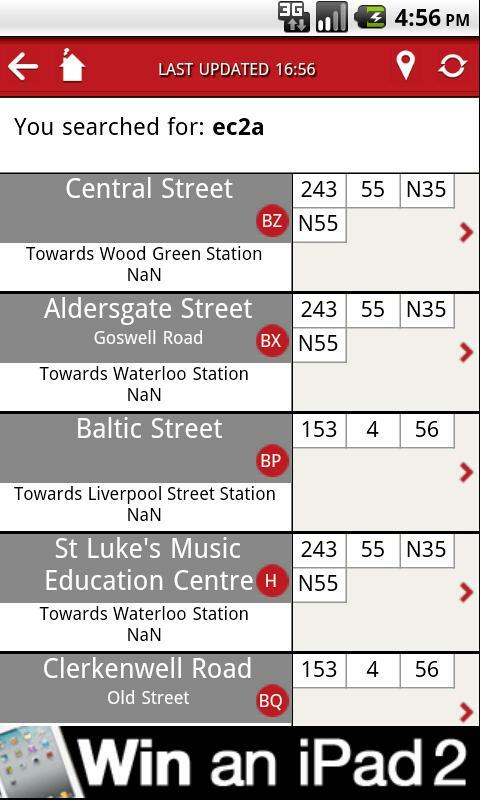 For anyone who’s waited at a bus stop in London for longer than the times supplied on the bus stop have indicated they should be waiting, Bus Guru lets you view current bus diversions, cancellations and closures, which could save you a bit of time. Bus Guru works perfectly well, but having tested it out on my Android handset, it definitely feels like it could do with some improvements. For example, some of the text didn’t display properly on my screen, it was cut-off at the bottom, and some of the bus numbers were out of line with their associated times. This doesn’t make it unusable, but there’s certainly room for improvement with the interface. Also, when you hit the ‘back’ button on Android, it exits you from the app completely, rather than taking you back to the previous screen, which is a bit annoying. Those small points aside, it’s a fairly intuitive app to use. Most importantly, it works and it’s pretty fast too.